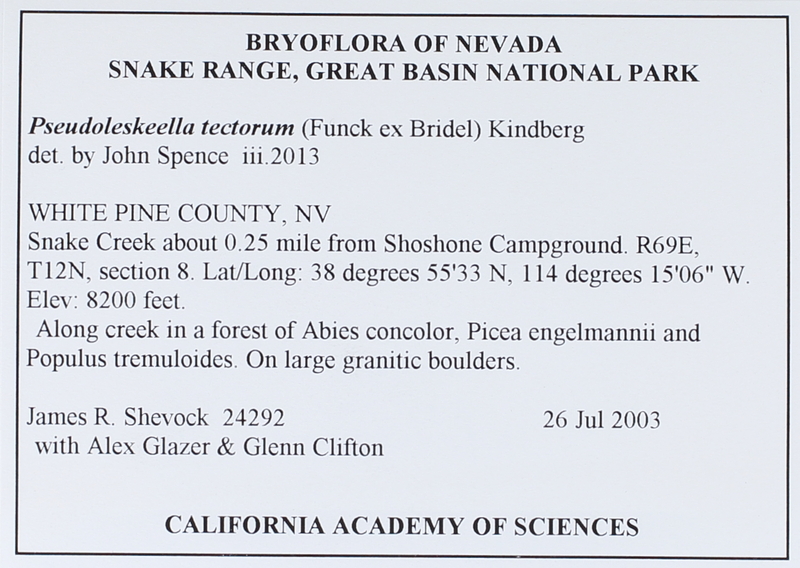 Locality: USA, Nevada, White Pine, Snake Range, Great Basin National park. Snake Creek about 0.25 mile from Shoshone Campground. Substrate: On large granitic boulders.